Hello and welcome to my blog. Today it is time for another Freshly Brewed Projects from the Latte Girls. It is all about birthdays. Everyone has a birthday, some may not celebrate them for religious reasons, but everyone was born on a day that is forever their birthday. 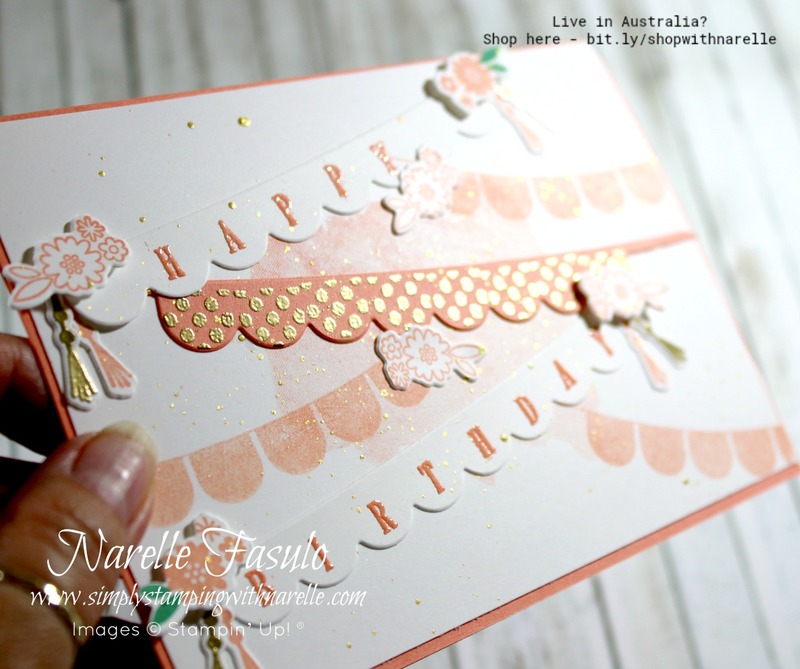 I am sure you have many, many people in your life who celebrate their special day, so sit back and be inspired by the Latte team for when you next have to make a birthday card. I have chosen to use the Pick A Pennant bundle today. This bundle is such a great one that can be used for any occasion. I have had it sitting on my shelf uninked for way too long. Today I was determined to make it shine. 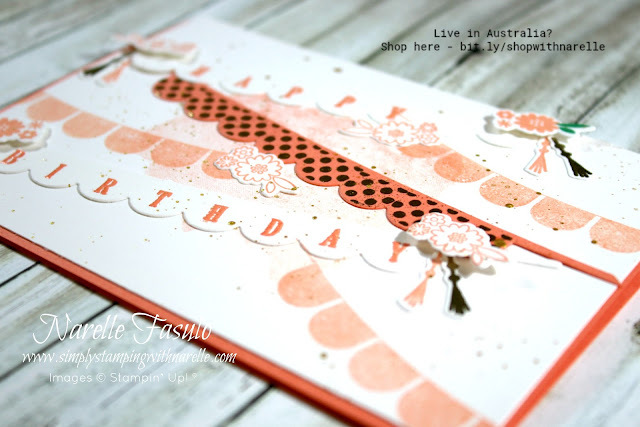 With it's extra little bits, this bundle is versatile enough to be the star of the card. There is no need to add any other stamp sets to the mix. I did however add one other stamp to the background but in the end wished I hadn't. I think the banners and the flowers are enough by themselves. I raised some of the flowers on dimensionals to add a bit of interest. 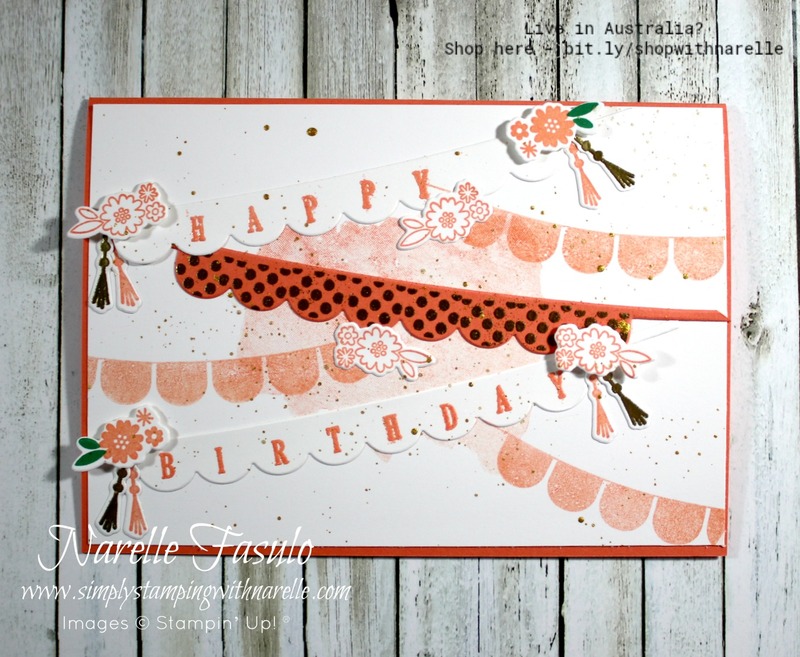 And heat embossed the letters in Grapefruit Grove. The easiest way to get the letters lined up and stamped all at once, is to put them face down on the banner on each little flag and then place a block down onto them. 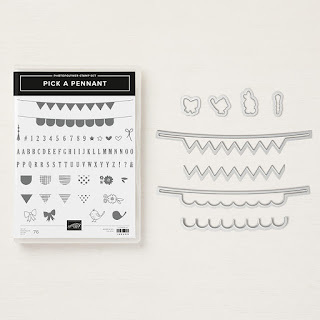 This picks them all up at once and allows you to stamp them all at one. So easy! I then added some gold embossing and flicked some gold shimmer paint over the card. So shiny! To purchase any of the products I have used in today's project, see the Product List below.